Thinking about a career in civilian Law Enforcement following your Honorable Discharge from the Military – excellent choice for most! Having been there myself I have some recommendations/advice that may help you make the right decisions and ultimately get a job in Law Enforcement. 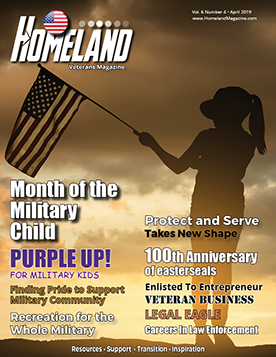 There are many traits, that those who have honorably served in the Armed Forces possess, that are desirable to civilian Law Enforcement Agencies. Military veterans understand discipline, Chain of Command, proper wear of a uniform and grooming standards, an understanding of the rules of engagement for various situations, and firearms training to name a few. When going through discharge transition training, prior to being discharged, take the initiative and create a powerful resume (with an eye to law enforcement) and take advantage of the oral board and “Dress for Success” advice available to you. Once you know your discharge date start researching multiple police departments and their testing timelines. Unless you have your heart set on only one department you should look at applying for multiple departments because what you should be looking for is a “foot in the door.” Once you become a police officer for one department it is easy to transition to a more desirable department after a couple years. Once you are a police officer and POST (Police Officer Standards and Training) certified you become more marketable. If you apply to multiple departments you will begin the hiring processes which will generally consist of an application, written test, oral board, medical exam, physical fitness test, oral board, psychological screening and a polygraph exam. As you start the testing process you will find that different police department’s testing/screening is similar. This is to your advantage, especially as you take the written tests and participate in oral boards. Many departments will offer orientation sessions for prospective applicants which you should attend as they usually pass on valuable information regarding the testing process and how to prepare. Each time you take a police written test you will learn more and each test should get easier. Oral Boards are similar in that each time you go through an Oral Board you will be able to learn and become better at oral boards. One thing to keep in mind is that most larger departments generally have Oral Board assessors that are not allowed to look at your resume or application so that all they know about you will be what you tell during the oral board. There will probably be a question or two that will give you an opportunity to let the assessors know your prior employment, education, significant accomplishments and other factors that will make you a desirable officer to hire – sell yourself. Don’t forget to do your homework on the department you are testing for to fully understand their makeup, priorities and vision. The bottom line is that civilian Police Departments are struggling to hire quality applicants and the time to start preparing is while you are still in the Military. Some things you can do to better prepare yourself for the hiring process is to take some Law Enforcement related college classes, go on some ride-alongs with any police departments (it doesn’t necessarily have to be the department you want to be hired by – but it helps if it is) and ask the officers you are riding with for testing/hiring advice. Don’t forget about your veteran’s benefits, provided by the VA, especially regarding the on the job training compensation benefits once you get hired and are going through the police academy. A career in law enforcement can be very fulfilling but you need the support of your families/loved ones to help make the transition easier. You have skills civilian Police Departments want and need so make sure you are ready for the hiring process which can get overwhelming and drawn out but stick with it because it will be worth it in the end. One last piece of advice, based on my own transition from Active Duty to civilian law enforcement is to look at entering/remaining in the Military Reserves, even if, at the time of your discharge, you have no interest in continuing to be associated with the military, because in the long run the retirement pay and Tricare medical coverage will be invaluable. Serving in the United States Army has been an incredibly meaningful and rewarding experience. It has been a privilege and an honor to serve my country protecting others around the globe. This experience has given me an exceptional foundation for protecting and serving citizens in my local community. Military service is unique among the diversity of career fields and professions. The military afforded me many great opportunities in various job assignments and operations. It also provided me with professional development as a leader and manager of personnel and equipment. I was drawn to the military service because it instilled discipline, provided relevant job experience, and gave me a sense of camaraderie with my fellow service members. As a senior noncommissioned officer, I progressed through several levels of formal military education and leadership. As I promoted through the ranks, I was tasked with positions and duties of greater responsibility which allowed me to gain significant leadership and senior staff level experience. I enjoyed a high level of job satisfaction while employed as a military service member and knew that I would be looking for a civilian occupation that would give me a similar level of fulfillment and purpose. As I began to search for a civilian profession that would compliment my military training and experience, I quickly discovered that a career in law enforcement gave me many of the same opportunities as my military career. The call to service runs in my blood and it is what drives me. There is a great sense of fulfillment knowing you’re doing something good for your community. Law enforcement agencies are modeled after a paramilitary structure utilizing a rank and file system and a chain of command. This is a natural transition for military service members and one that civilians are not accustomed to. A job in law enforcement requires discipline, standards, and attention to detail all of which are learned and developed in the military. I found my transition to law enforcement much easier than most of my peers with no military background. There was definitely an advantage when it came to learning police standards of conduct, drill and ceremony, and uniform wear and appearance. All of these fundamentals are strictly taught and enforced in the military. I also excelled when it came to firearms training, tactical movements, and first aid. Having served in combat arms and special forces units, it gave me a wealth of practical training and experience that directly related to my career as a police officer. I often found myself imparting my military experiences to my fellow officers and supervisors as it related to police work. Veterans bring a wealth of knowledge and skills to the workplace and are a force multiplier in many ways. Due to my Army training and experience, I excelled in several other areas and functions within law enforcement. I had the ability to work effectively in teams or individually with minimal or no supervision. I had proven experience in problem solving, conflict resolution, and dealing with difficult situations. 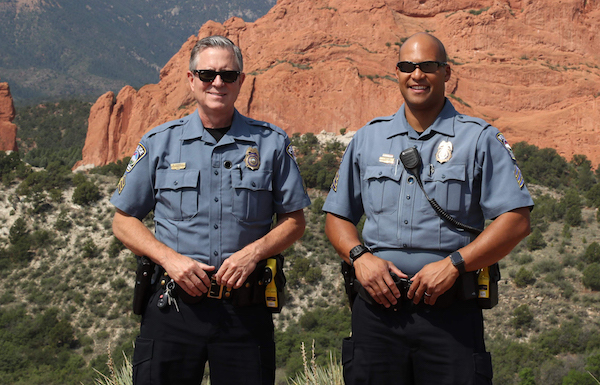 To date, I have served as a patrol officer in all four patrol divisions in the City of Colorado Springs and currently serve as one of the senior Downtown Area Response Team (DART) Officers. The DART Unit is a specialized unit focusing on the downtown commercial district of the city. I serve the downtown area on foot, mountain bike, and unmarked police vehicle. In this unit, I get to apply many of my military skills such as surveillance operations, problem solving, and critical thinking on a daily basis. I get great job satisfaction by interacting with citizens of my community on a daily basis and knowing that I am making a significant impact on the safety and security of Colorado Springs. I have also served as a major crimes detective in our Investigations Division and served on the Internet Crimes Against Children Task Force. Some of my ancillary duties included serving as a crisis/hostage negotiator, riot control team member, and adjunct training academy instructor. While employed as a police officer, I was able to complete my bachelor of science degree in criminal justice and I am currently working towards my master’s degree in homeland security. Policing offers a variety of promotional and self-improvement opportunities as well as specialized training. A job as a local police officer can also open other doors to state and federal law enforcement service. I have had a very successful experience transitioning from the military to a civilian law enforcement career. I attribute my successful transition to thoroughly researching the law enforcement career field and taking the necessary steps to prepare for the hiring process which can be extensive. I strongly recommend going on a ride along with an officer from the local police department to get first-hand experience and knowledge of the job and various opportunities within that specific organization. Stay motivated and even consider doing some volunteer work with your local agency. There are no other occupations or career fields that have a greater impact on the safety and security of our local communities. The law enforcement career filed is one of the most rewarding and fulfilling professions available for the transitioning veteran looking to stay in uniform and to continue serving.